Background: Camptothecin (CPT) is a specific inhibitor of the nuclear enzyme topoisomerase I, which is involved in cellular DNA replication and transcription. Topoisomerase I is therefore an attractive target for anticancer drug development, and two analogues of CPT, topotecan (TPT) and irinotecan (CPT-11), have demonstrated significant antitumor activity in the clinic. This activity is limited, however, by lability of the CPT E ring lactone, which forms the inactive hydroxy acid at physiological pH. The reaction is reversible at acidic pH, which provides a rationale for selectivity, because many solid tumors create an acidic extracellular environment while maintaining a normal intracellular pH. Purpose: To exploit the tumor-selective pH gradient to improve the efficacy of CPT-based chemotherapy. Methods: CPT analogues were evaluated by growth inhibition assay in three human breast cancer cell lines that had been adapted to in vitro culture at acidic pH versus the respective cells cultured at physiological pH. The MCF-7, MDA-MB-231, and MCF-7/hc cell lines represent the hormone-dependent and hormone-independent stages of the disease, and a MCF-7 variant that is resistant to the alkylating agent 4-hydroperoxycyclophosphamide (4-HC), respectively. Antiproliferative activity of SN-38 (the active metabolite of CPT-11), and TPT was compared to that of CPT and two CPT analogues, 10,11-methylenedioxy-CPT (MDC), and the alkylating derivative, 7-chloromethyl-10,11-MDC (CMMDC). Results: In general, MDC was the most potent and TPT or CPT the least potent analogue, regardless of pH. However, if the comparison was based on magnitude of potentiation by pH, a different rank order emerged. CPT was modulated 4-fold; MDC, SN-38, and TPT were each modulated 5- to 6-fold, while the activity of CMMDC was increased 10- to 11-fold by acidic pH in MCF-7 lines, and 65-fold in MDA-MB-231 cells. Thus MDC was the superior CPT analogue based on potency, but CMMDC was the best candidate for pH modulation. Drug specificity was also observed. While the alkylating agent, 4-HC, was 2- to 3-fold more active at acidic pH, modulation was not observed for 5-fluorouracil, doxorubicin, or paclitaxel. Preliminary mechanism studies indicated that pH modulation of CPT analogues was directly correlated to intracellular levels of glutathione. In addition, protein-associated DNA strand breaks were more rapidly induced at acidic pH. 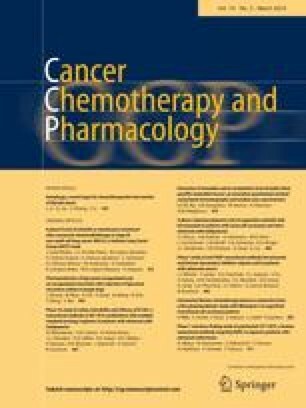 Conclusion: These results suggest that CPT-based drug development and resulting chemotherapy could benefit from evaluation of differential activity at acidic versus physiological pH. Analogues have been identified that could have improved therapeutic indices based on the pH gradient that selectively exists in human tumors.